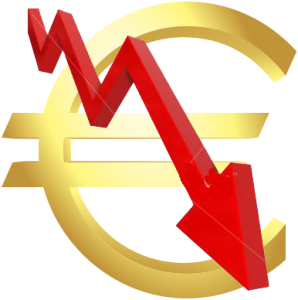 NOTE: With the decline of the Euro - the coupon money talked about in the video and in the article below is better described as a usuryfree community or complementary currency. "Whether buying bread, filling a pharmacy prescription, getting a haircut or going to the doctor, some residents of Montreuil, France, are rejecting the euro in favor of ‘La Peche’, a local community currency. In France, local currencies are growing in popularity as trust in state institutions erodes. An elaborate coupon system lets locals pay for services and goods with special local banknotes, which are recycled and kept within the community. France, Europe’s second largest economy, has at least 20 different types of complementary currencies. Worldwide there are over 4,000 community-centered money schemes. “First it’s practical. Local currencies stay and develop in the region. Second ideological. A lack of confidence in official currencies makes people want to have something they understand, that they can control, and that they can trust, not just something that is printed, you don’t know how, with no control and leads to speculation,” Herve Pillard, a French finance lawyer told RT. 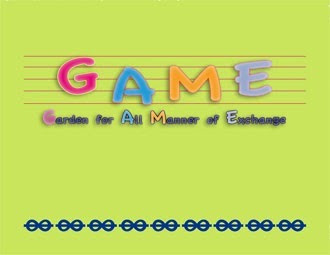 Both electronic or paper, the currency is spent and then directly fed back into the community from where they come from, which cuts down on the number of monetary circuits through which it passes, which in theory strengthens the community, reduces the ecological footprint, and is a hedge against speculative markets and tax havens, according to the organization’s website. Traditional money like the euro lost its appeal as Greece’s credit crisis dragged the currency to record lows in September 2011. The value of one ‘peche’ is directly tied to the euro at a 1:1 exchange rate. “The problem with the Euro is that it’s not just a mode of exchange, but it also became a mode of speculation to feed banks. While local currencies support local projects on the ground, which means it works for us, the people,” Ghislaine Scheffer of ‘La Peche, Monnaie Locale’ association told RT. Economies around the world have tried to use monetary and fiscal policies as a tool to strengthen economic growth. The US opted to pump billions of stimulus into their economy, and Japan used monetary easing to boost exports on a weak yen. “Banks play enough with money but at the end of the day ordinary people have to pay for mistakes and losses. This is why people want to have a currency they will be sure will serve them and not disappear in a fiscal paradise, global finance systems, or banks,” Etienne Hayem, entrepreneur and local currency expert told RT. The intentional ‘currency wars’, at first criticized were later deemed acceptable by G20 nations as a way to guide their economies back on track. Put into circulation in January 2002, the euro is currently administered by the European Central Bank (ECB) and the eurozone central banks. In 2014, the Frankfurt-based ECB will officially take over supervision of more than 6,000 eurozone banks. Startup currencies, both hard and digital, have been making headlines in 2013, with Bitcoin the clear winner. Following the spectacular rise from just pennies to over $1000 , the cryptocurrency has won fans from the US to China to Cyprus, and amongst consumers looking for an alternative approach to state-backed financial systems. Though alternative money has been making waves, most experts agree it won’t replace the central bank-backed conventional ones."